At the junction of County Rd. 1900 E. & County Rd. 300 N., and the cut-off road (6), on a triangular plot of land bounded by these three roads. 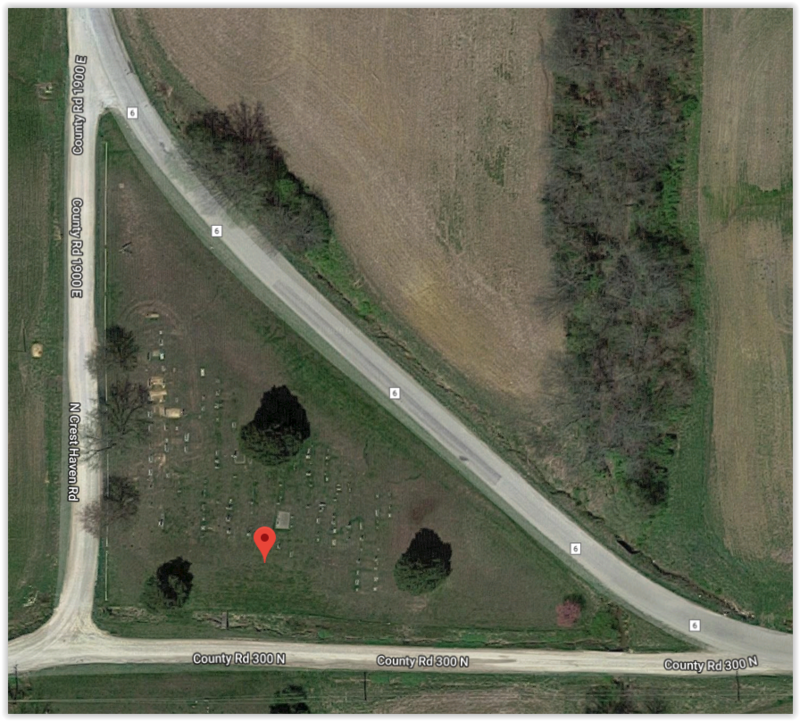 The cemetery is very near to Berryville, a tiny unincorporated place, but is listed in Calhoun, a small town to the northwest.